Trying to read a comprehensive history of a nation can be a daunting task. The most well written ones contain an incredible amount of detail that can be both mind numbing and complex. The narratives are sometimes hard to follow. Almost all such histories are arranged in chronological order, but history is filled with lots of moving parts often headed in opposite directions. Events occur simultaneously and yet can be totally dissimilar. Add to this hundreds of years of dates, peoples and trends. The effect upon the reader can be withering. The most common approach to digesting so much information is to look for common historical trends. There is another, perhaps more useful approach that can make for compelling discoveries. The casual reader might try selecting a historical era in a nation’s history that they find intriguing. Then when a detail piques their interest, they can research that detail in much greater depth. Such research can illuminate a nation’s history. This is what happened to me while reading parts of Orest Subtelny’s History of Ukraine over the past week. While the work is highly readable it is nonetheless the type of history book one is likely to find in an academic library. This is something of a shame since as national histories of Eastern European countries go, the book is very accessible. For reasons of time and interest I skipped ahead to the chapter entitled Western Ukraine Between the Wars. I wanted to learn more about the Second Polish Republic’s rule over Galicia and Volyn. 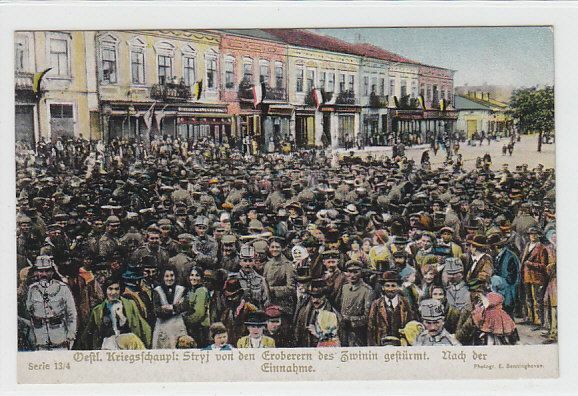 Polish rule over ethnic Ukrainians is an overlooked area of study in Eastern European history by western scholars. It gets lost in the shadows of the Soviet Union and the turbulent rise of Nazi Germany. The Polish state’s relationship with its four million Ukrainian subjects between the World Wars pales in comparison. Further exacerbating this oversight is the fact that Poland’s government from 1918 to 1939 is viewed historically as a rather benign force. Much of this has to do with what followed it. During World War II Poland became the scene of violence on an unimaginable scale as the Nazis murdered hundreds of thousands of Jews and ethnic Poles, on occupied Polish territory. In comparison, the Second Polish Republic looks fairly moderate. It had the trappings of a democracy, but with censorship and heavy handed governance. It at least paid lip service to minority rights and was not engaged in violent destruction of the minority groups which made up one-third of its population. On the other hand, the second Polish Republic was hardly kind to the minorities that lived within its borders. 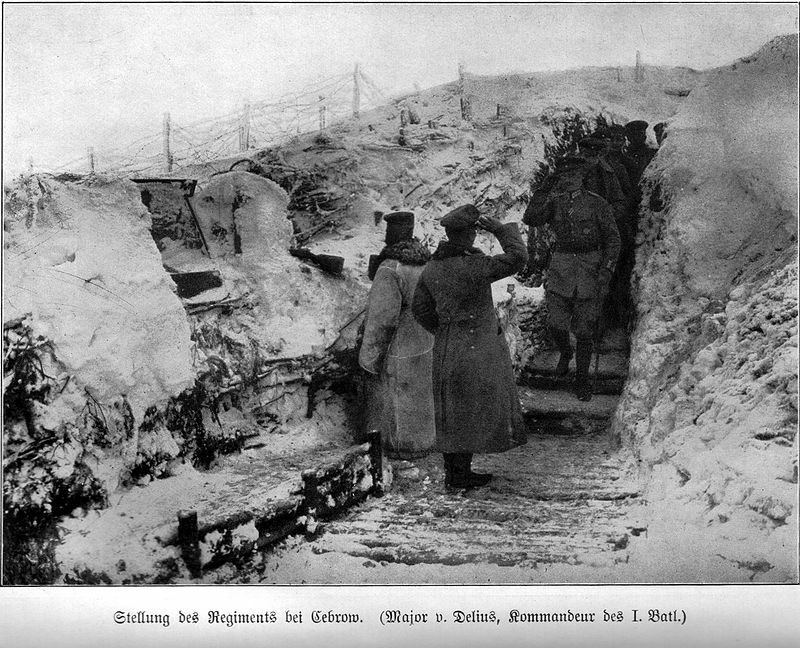 Ukrainians, Belarussians and to a lesser extent ethnic Germans were discriminated against. They were subjected to Polonization, whereby through the suppression of their languages and cultures they were to eventually become Polish. This was met with great resistance by extremist Ukrainian nationalist organizations. This included notable acts of terror such as assassinations of Polish officials and of Ukrainian officials who were felt to be pro-Polish. This brings me to a discovery of one detail in Subtelny’s work that illuminated a dark corridor of Polish and Ukrainian history. On page 445 of the History of Ukraine I came across the following sentences: “After the assassination of (Interior Minister Bronislaw) Pieracki Polish police launched a crackdown that netted the entire Krai (regional) leadership of OUN (Organization of Ukrainian Nationalists) in Galicia…After a much publicized series of trials, the youthful leaders received lengthy sentences in the Bereza Kartuzka concentration camp. They were joined by hundreds of OUN rank-and-file members who were rounded up at this time.” I fixated on one piece of information in these sentences, Bereza Kartuska Concentration Camp. I had no idea that Poland had concentration camps before the Second World War. The words Poland and Concentration Camp had always been synonymous with the Holocaust, not inter-war Poland. This led me to dig deeper. What I found was both tragic and enlightening. Considering the time period I should not have been surprised. 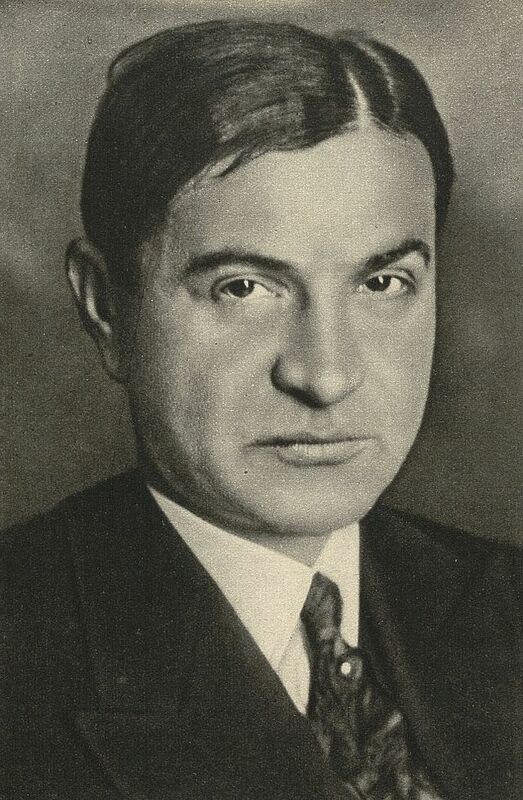 In mid-June 1934 a Ukrainian Nationalist gunned down the Polish Interior Minister Bronislaw Pieracki in Warsaw. It was this act of terrorism (or act of heroism if you were Ukrainian) that directly led to the creation of Bereza Kartuska by the Polish government. The site selected for the prison had a prior history of incarceration. During Tsarist times the buildings on site had been used to imprison opponents of Russian autocracy. Fascinatingly, Bereza Kartuska was not only a punishment facility for opponents of the Polish regime, but also for the staff. The guards at the prison had been forced to work as punishment for being poor policemen. This lack of a professional prison guard force led to many abuses. Perhaps this was the intention of the powers that be. 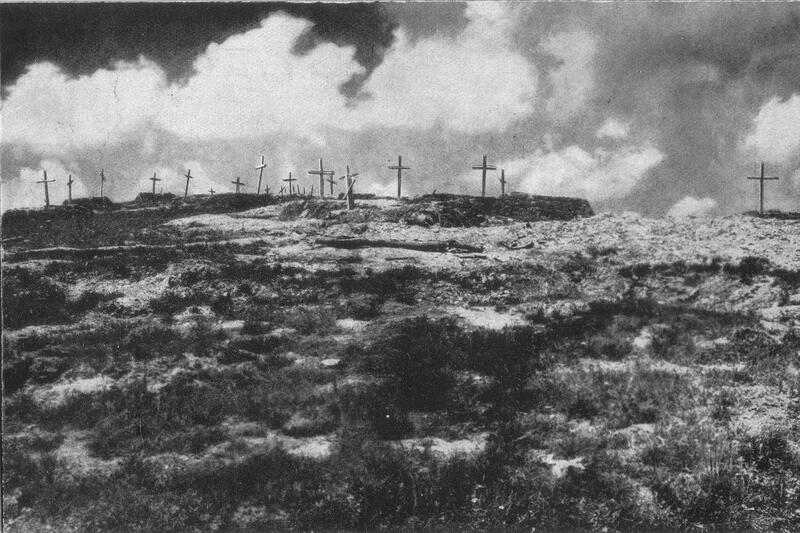 Most historians put the number of deaths at Bereza Kartuska somewhere between 13 and 17, (one Ukrainian historian puts the number between 176 and 324 depending on Polish or Ukrainian sources) this small number is deceiving. The conditions were such that many of those later released, were broken men. The average length of incarceration was only eight months. In this short period of time inmates performed hard labor, were regularly tortured and placed in solitary confinement for such offenses as speaking the Ukrainian language. Concrete cell floors were constantly hosed down so prisoners could not sit or lay on them. Each cell was packed up to four or five times its normal capacity. 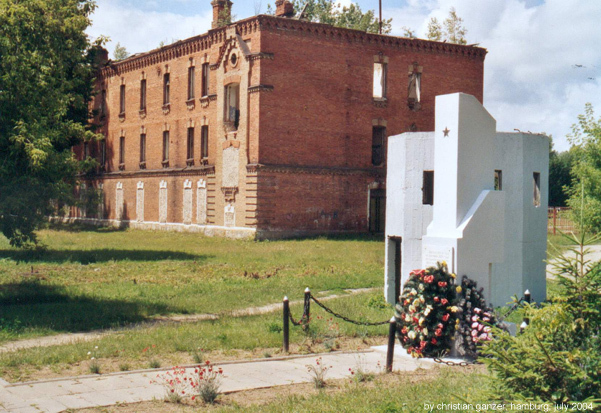 When it first opened the majority of prisoners at Bereza Kartuska were either Ukrainian nationalists or from extremist Polish groups of the left or right. This mix of such divergent ideologies among the inmates must have made for a rather toxic social environment. Sentences were for “only” three months, but could be extended by officials without a prisoner’s having any right to appeal. The prison was controversial among Polish opposition parties who decried its violation of civil liberties. At the time, Bereza Kartuska was referred to as what it really was – a concentration camp. Just prior to, as well as following, the outbreak of World War II the number of inmates in the camp ballooned as ethnic Germans including women were imprisoned. In mid-September 1939, with the Soviet Union joining the Nazi invasion of Poland, the camp was evacuated. The short, infamous history of Bereza Kartuska had come to an end. Today, Bereza Kartuska is all but forgotten except by academic specialists who study that turbulent period of Polish, Ukrainian and Belarusian history. Its tragic legacy endures most prominently in a physical sense. 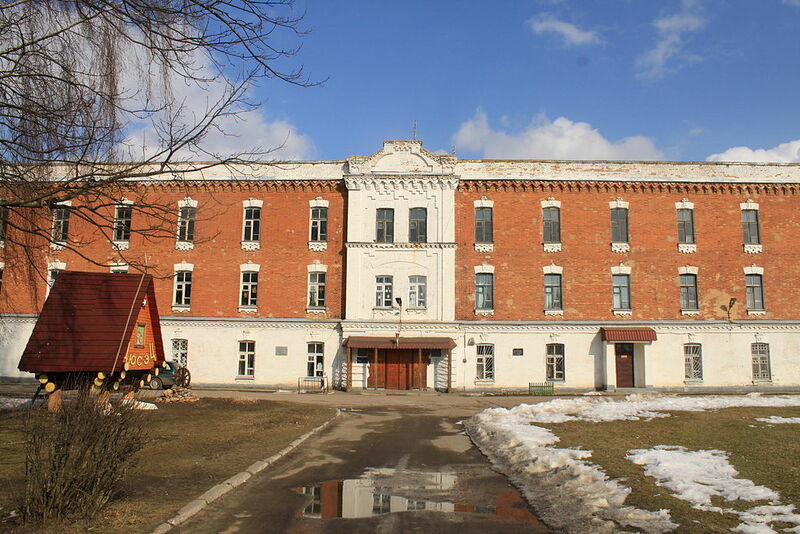 The main building for the prison still exists in relatively good condition in what is today the town of Biaroza, Belarus. The only commemoration at the site is a post-World War II Soviet memorial. This is no surprise. After all, modern Belarus is still under the thumb of what has been called Europe’s last dictatorship. It is doubtful that the Belarusian government wants to draw attention to violations of civil liberties. 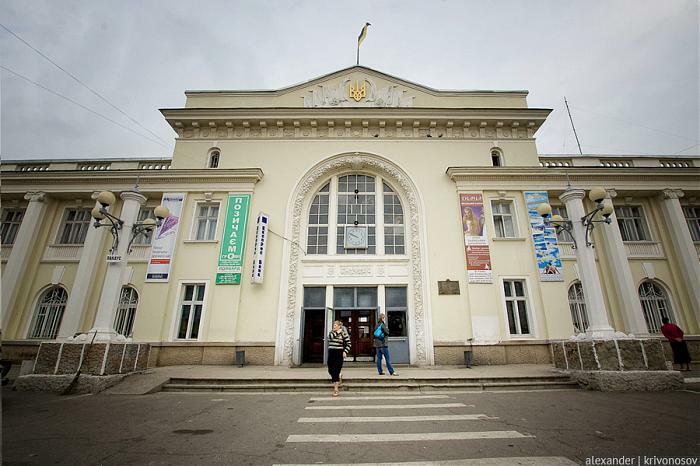 Such violations are not just of the past in Belarus, but also practiced in the present. 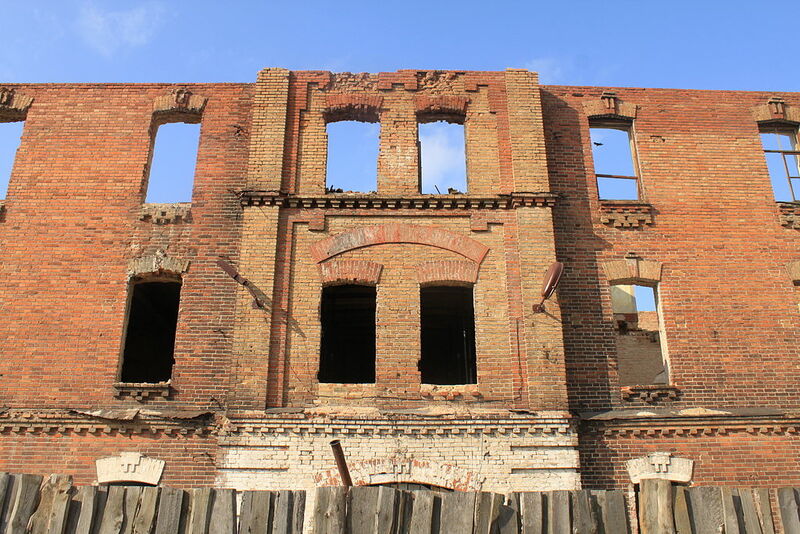 Even through it was another nation’s tyranny that took place, the Belarussian people have more than enough of their own tragedies to remember from that era. 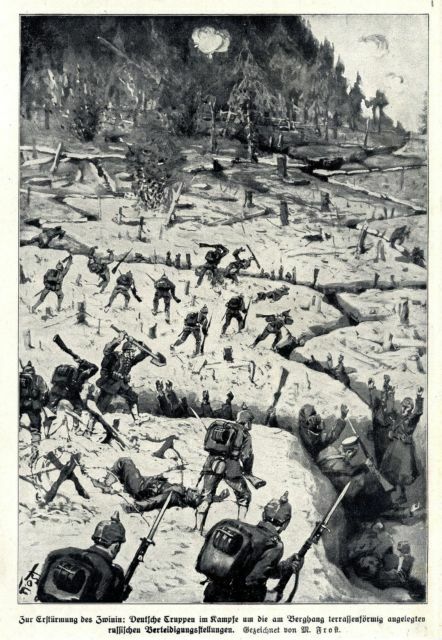 As for Ukrainians they have their own battles to fight over both the past and present with Russia. And Poland is now a successful member of the European Union. Dredging up less than desirable aspects of the past is not a compelling interest. So Bereza Kartuska historical fate is probably resigned to what it is today, tucked away on page 445 of a history book few will ever read. That being said, Bereza Katuska proved enlightening for me. If the relatively democratic Second Polish Republic was guilty of such excesses between the wars than what went on beyond its borders – in Nazi Germany and the Soviet Union – is almost unfathomable. This was an era where every nation was guilty of ethnic discrimination. None of them were innocent and each one was guilty, the only difference was that some were guiltier than others.